Today we went for an adventurous dive off Graves Ledge to seek the wreck of the SS City of Salisbury, which struck an uncharted rock and sank 76 years ago this month. Most of the wreck of the famed “Zoo Ship” was raised and sold for scrap metal, dynamited as a navigation hazard, or dragged across the bottom of Boston Harbor in the decades since the sinking. 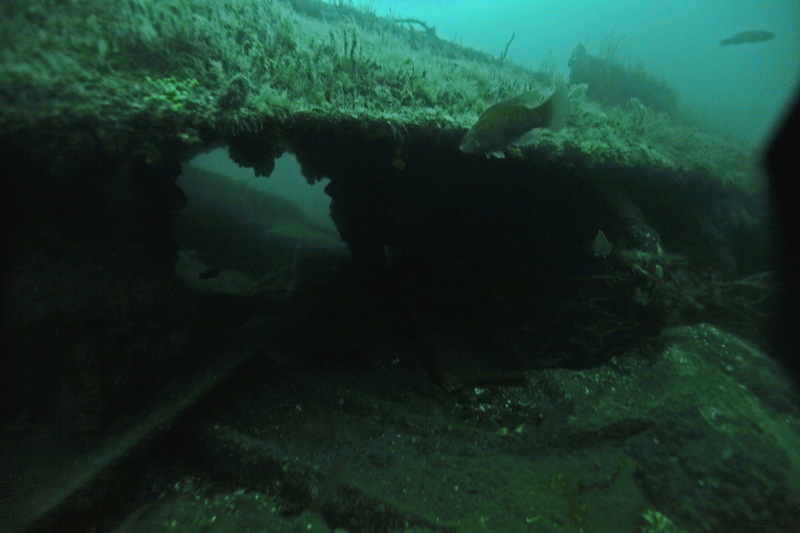 The bow is said to be nearly intact, and a great dive spot, but we didn’t find it today. 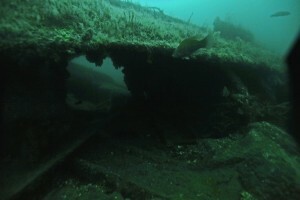 We did find the wreckage field, with sections of the hull of the 419-foot British freighter strewn about the bottom and alive with marine life. It was a beautiful dive on a fine spring day, with great visibility. Take a look. 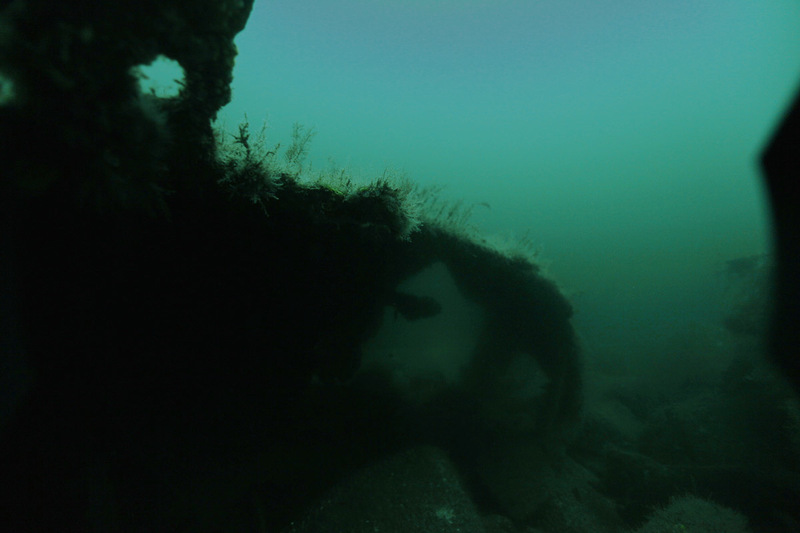 SS City of Salisbury wreckage at bottom of Boston Harbor, May 23, 2014. 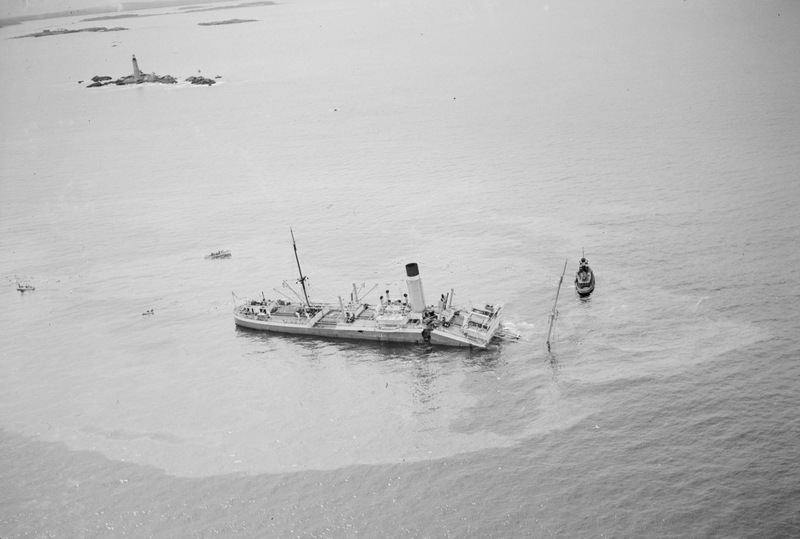 1938: The SS City of Salisbury is broken in two on an uncharted part of Graves Ledge. Graves Light is seen in the upper left background. Tagged City of Salisbury, wreck diving.